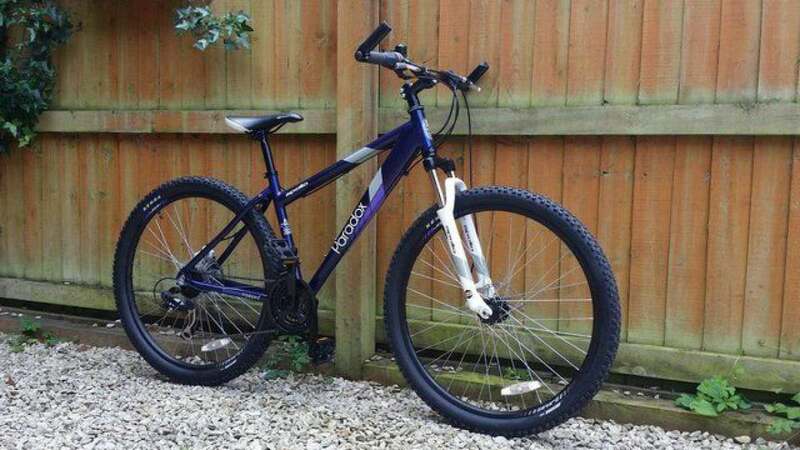 Apollo Paradox Ladies mountain bike in purple. 17" frame. 21 speed grip-shift Shimano gears. Front suspension. Disc brakes. Bar ends. In excellent condition. Bought it for my wife but she didn't get on with cycling so has only been used twice on a canal path.